HomeISMSWhat is an Information Security Management System? Information Security is integral to any active organization, and, as businesses around the world enact a greater network-based presence while facing a growing number of threats to their data, cyber security efforts must be handled with greater care and reliability than ever before. This is accomplished by an information security management system (ISMS), which assists organizations in managing the security of their information assets, such as financial information, intellectual property, and employee details, or information entrusted to them by customers or third parties. In short it is a centrally managed framework for keeping an organization’s information safe. A set of policies, procedures, technical and physical controls to protect the confidentiality, availability and integrity of information. It is either applied to the entire organization or only a specific area where the information it seeks to protect is segmented (the scope). It includes not only technical controls but also controls to treat additional, more common risks related to people, resources, assets and processes. A global increase in data breaches has caused heightened information security concerns across all industries. Considering the significant financial and legal damages caused by breaches, all businesses with valuable information should consider implementing an information security management system. An ISMS is often developed by a team established by IT stakeholders, comprising board members, managers, and IT staff. The team is tasked with designing, implementing and maintaining a set of policies that comply with ISO 27001, the international standard for information security management systems. A compliant ISMS should become an integral part of your company’s culture that functions to maintain strong information security across the organization. a) Plan – The ISMS team should define the organization’s problem and collect data to establish security vulnerabilities. b) Do – The team should develop and implement a solution and establish controls to gauge how effective the solution is. c) Check – Using your control measurement, perform a comparison before you implemented the solution and after. 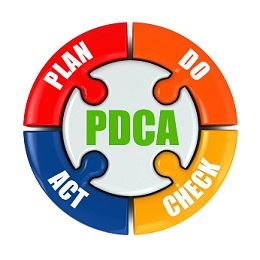 d) Act – Document the results of your solution and make notes of changes to be implemented during the next PDCA cycle. Provides a structured system of managing information security in an organization. There is a clear chain of data handling that provides a monitoring and reporting model for management review. Provides an independent appraisal of your organization’s conformity to the best practices recommended by ISMS experts. Provides evidence and assurance that your organization has complied with international standards. Enhances information security governance within your organization. Enhances your organization’s reputation and global standing. It provides a common purpose with a common set of goals and structured system of protecting organizational data. Establishes a complete IT Security Management Framework that enables your team to ensure information security compliance throughout to prevent any risks. It helps manage information in all its forms, including digital, paper-based, intellectual property, company secrets, and data on devices and in the Cloud, hard copies and personal information. It helps the company defend itself from technology-based risks and other, more common threats such as poorly informed staff or ineffective procedures. It reduces costs spent on indiscriminately adding layers of additional technology that might not work, due to the risk assessment and analysis approach. It constantly adapts to changes both in the environment and inside the organization to reduce the threat of continually evolving risks. It focuses on the integrity and availability of data as well as confidentiality. It enables businesses to be significantly more resilient to cyber-attacks. Unichrone delivers ISO 27001 Lead Implementer Training Certification in both Classroom and Live Online Classroom modes. ISO 27001 Lead Implementer Training is available across the world. Why Should a Company Need an ISO 27001 Certification?